Celebrate New Year's Eve in a casual and Icelandic way. Explore Reykjavík, the Reykjanes peninsula, the Blue Lagoon, the Golden Circle and the South Coast. Stay in simple hotels and cottages in Reykjavík and South Iceland; all rooms with private shower/wc. 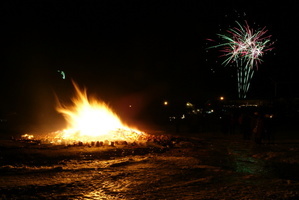 Discover and experience how Icelandic countryside people celebrate New Year's Eve. Oops, did we mention the Northern Lights? Visit Iceland over New Year. 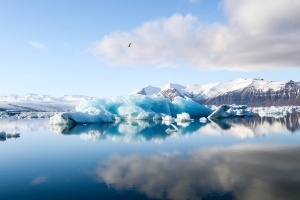 Explore Iceland’s most popular sites such as the Golden Circle route, the South Coast, and Vatnajökull National Park. 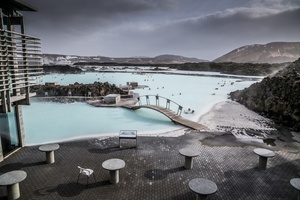 See waterfalls, geysers, volcano craters, an ice lagoon with floating icebergs and black lava beaches. Besides, there is always a thrilling potential for the night sky to be decorated with amazing aurora borealis. 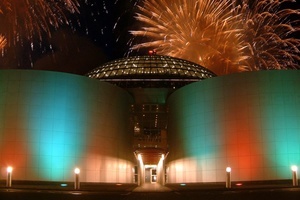 New Year’s Eve is spent in Reykjavik including a festive dinner at Perlan. Reykjavik is an enchanting and festive city during the holiday season. Discover Iceland’s distinctive and charming Christmas traditions and holiday treats. You’ll also experience a winter wonderland along the Golden Circle and famous South Shore, and some Blue Lagoon relaxation.